Every year the Levitt Pavilion concert series brings an eclectic array of musical performers to the greater Los Angeles area in an effort to make live music accessible to all while increasing community consecutiveness. Family friendly concerts feature both award (Grammy) winning and emerging artists, mixing a variety of genres from Latin to Jazz to Americana, and more. 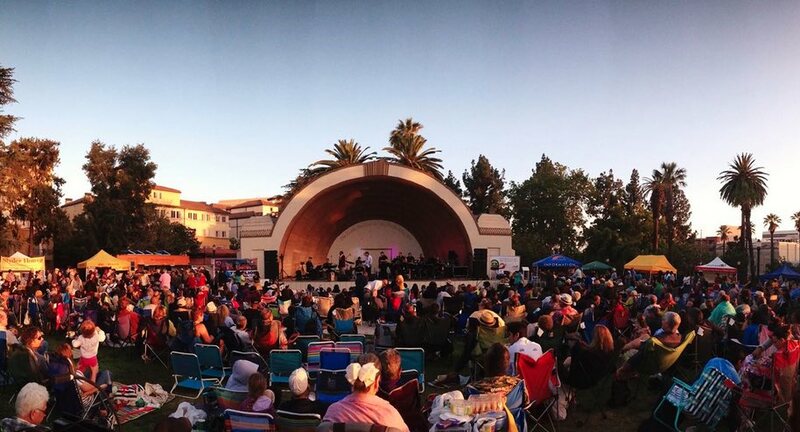 Both local Levitt Pavilion Concert programs (at McArthur Park and in Old Town Pasadena) will feature 50 separate concert dates starting in June and ending in September. We have the full schedule of concerts after the jump (so you can plan a date!). Visit the Levitt Pavilion Pasadena and Levitt Pavilion Los Angeles websites for more information and exact concert times for upcoming shows.